(2019) Higher Education Research and Development, 38 (3), pp. 609-622. This article presents the results of an analysis of hierarchization strategies in public debate over unemployment among university graduates. The aim of the investigation was to grasp the way that discourse controls interact with one another to produce and reinforce a particular ‘truth’ about the university. The objects of our analysis were the ways of identifying the following places by the media actors: (a) the privileged positions from which the truth of a given social order is told and within which the common good may be expressed, and (b) the positions which are opposed to the latter and from which only a particular interest and ‘populist’ demands can be articulated. These two categories in the debate were successively filled by the following groups: entrepreneurs (bearing witness to the truth about the low level of instruction at universities) and the representatives of the social sciences and humanities defending themselves against these accusations. The diversity of argumentative strategies was revealed at the three levels of the order of discourse: hierarchization of responsibility, hierarchization of access to the truth, and hierarchization of interests. © 2018, © 2018 HERDSA. See also this article on the background of Sixth Tone magazine. Michel Foucault murió en 1984 pero su obra no ha dejado de expandirse y suscitar interés y discusión. Con la publicación de los cursos dictados en el Collège de France entre 1970 y 1984, durante las últimas dos décadas, el interés de los estudios se desplazó hacia conceptos como los de gubernamentalidad y biopolítica. En el marco de las actividades desarrolladas en torno de los aniversarios de la publicación de Las palabras y las cosas y La voluntad de saber, el foco del debate se centró nuevamente en sus libros. Releídos en la actualidad, esclarecidos y enriquecidos por los aportes de Dichos y escritos, los cursos publicados y los materiales del “Fonds Foucault”, Pensar con Foucault hoy ofrece aristas inexploradas de esos libros, a la vez que los somete a la prueba del presente. – Les usages que les chercheurs contemporains font de Foucault dans de nombreux domaines (de la philosophie à la sociologie, de l’anthropologie à l’esthétique) contribuent à lui donner une nouvelle signification. S’interroger sur le devenir de l’œuvre de Foucault au XXIe siècle, ce n’est donc pas tracer le profil d’une œuvre enfin définitive, mais une constellation d’interprétations en mouvement. C’est un tel panorama, nécessairement provisoire, que nous tenterons de proposer au travers de ce dialogue à deux voix. 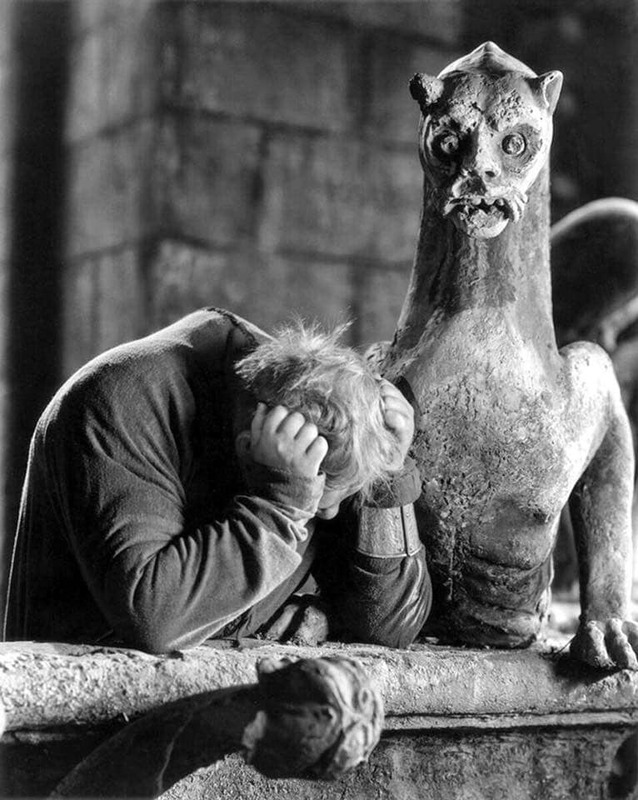 Editor: After the terrible news of the fire and because the banner of Foucault News is an image of Le Stryge, one of the chimera on top of Notre-Dame, I am reposting the photo below which appeared on the Facebook page of La Cinémathèque française. The fate of the chimera is as yet unclear. This article on the BBC news site lists what has survived and what hasn’t. Donations are already flooding in to rebuild the cathedral. An interesting and beautifully written philosophical and moral reflection with the signature ‘Un curé de campagne en visite à Paris’, provoked by the experience of being in Paris during the fire. Sauvons la cathédrale du cœur. Pour un autre usage de Notre-Dame-de-Paris, Lundimatin, 16 April 2019. What interested me in the article below was not so much the account of Donald Trump’s latest exploits as the description of the technical expertise needed to fight the fire. Experts deride Trump’s Notre Dame firefighting advice as ‘risible’, The Guardian, 17 April 2019. With thanks to Luca Paltrinieri for posting the three informative links above on his Facebook page.